So I am getting close to finishing the bike up. So in this garage session I have tackled the last few bits of work I have left. This afternoon I had some help so there aren’t many pictures. 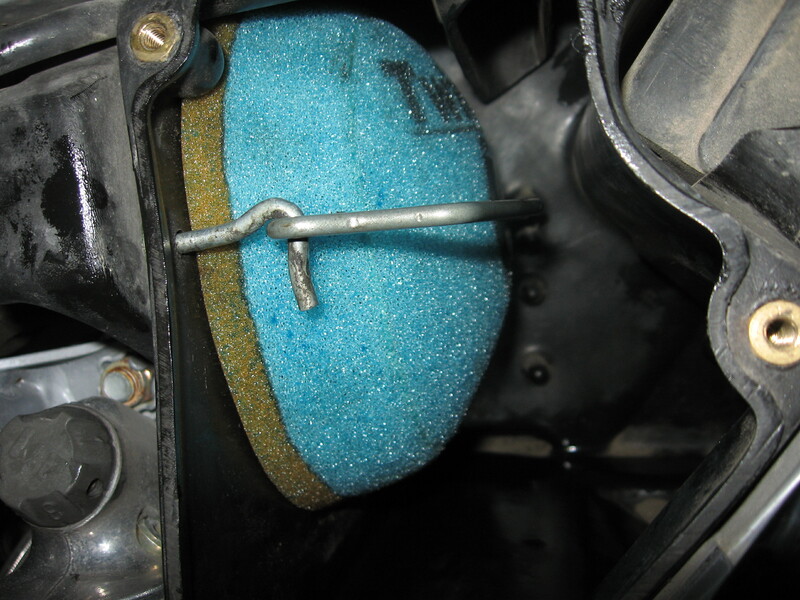 First of all I have changed the clutch master oil. 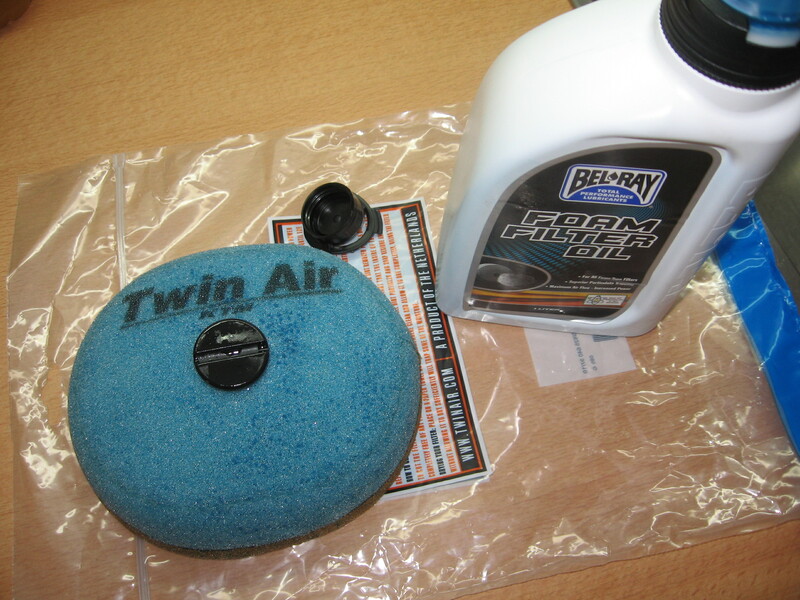 I have used a BelRay 2,5w fork oil in it and it works great. 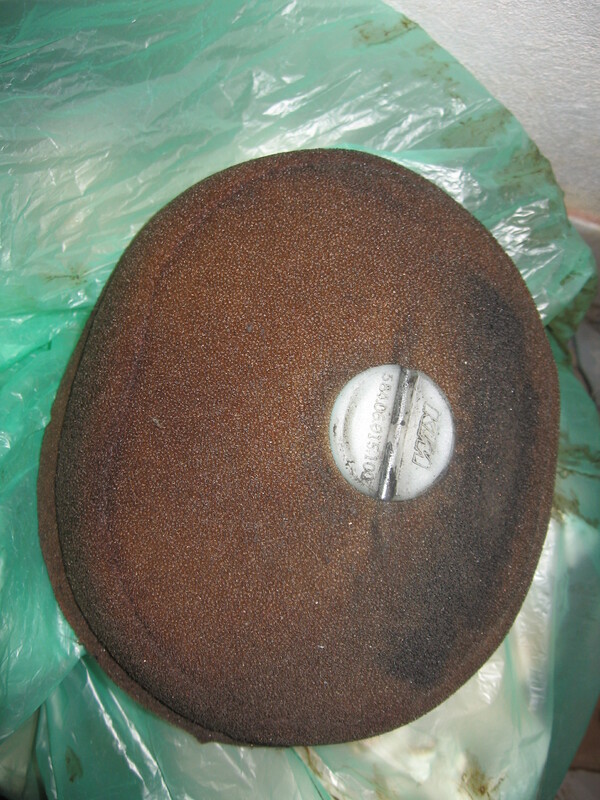 Next I have oiled a new Twin-air air filter and threw the old one away. 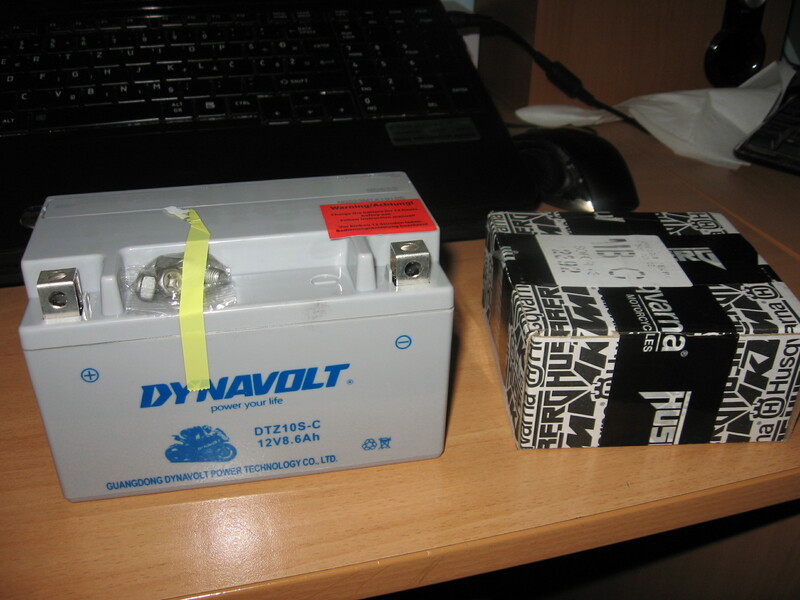 I got a new battery under warranty installed it and tried the e-start for the first time in I guess 2 years, according to PO when I bought the bike. It turned the engine, which was great to hear. That out of the way, I turned my attention to the most ridiculous and complicated oil change process ever invented. I think those Austrian engineers were drunk or had a serious hangover when they designed the oil system on LC4’s. Luckily there are good people on advrider.com that has made things more clear, but still it took a lot of time. 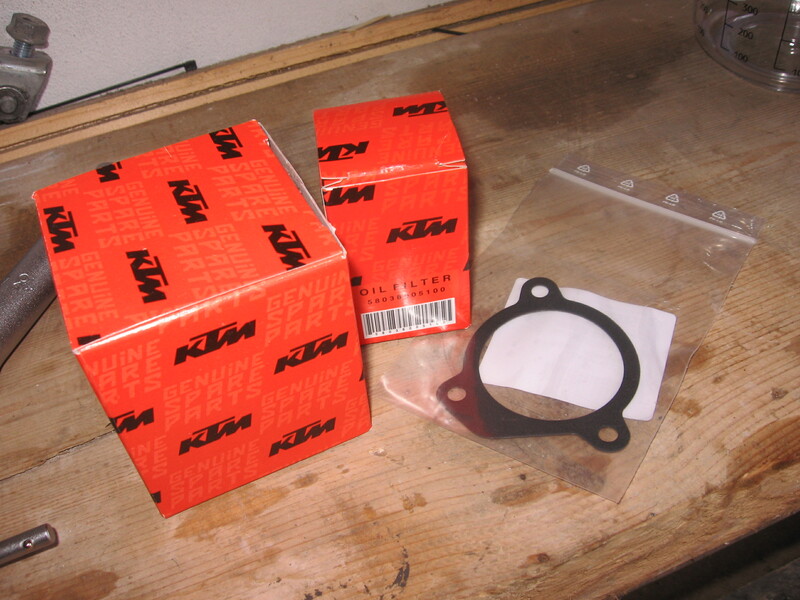 I have use KTM OEM filters and gasket, with BelRay Thumper Racing Syn Ester Blend 4T Engine Oil 15W-50. Last oil change on this bike, looking at the date I found on the small inside filter, was 13.6.2014, its good to know that the bike had fresh oil in regular intervals. But I guess PO didn’t have any idea what is with the plugs on the bottom of the engine as the situation there has scared me a bit. Do you see that error? 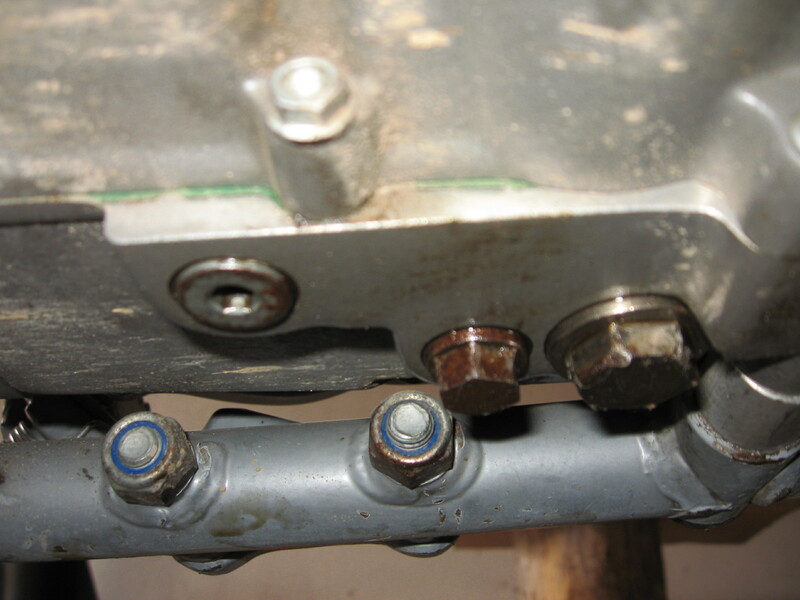 He has put the oil drain plug, with the spring in the by-pass valve hole, and the plug for the by-pass valve in to oil drain plug. I have tried correcting the mistake but the threads wouldn’t engage the oil drain plug in it’s rightful hole, so I had to leave it as it was. 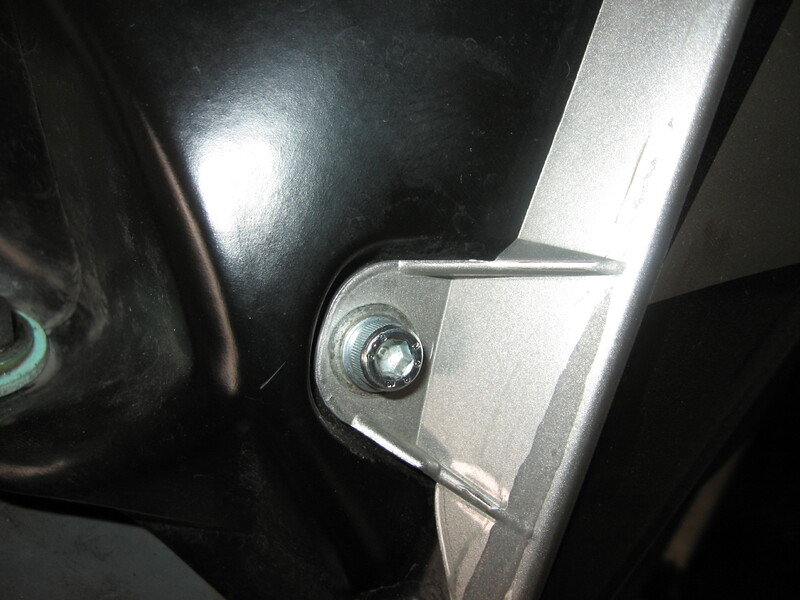 Last, but not least, I have changed most of the the bolts that hold the plastics on with new ones. 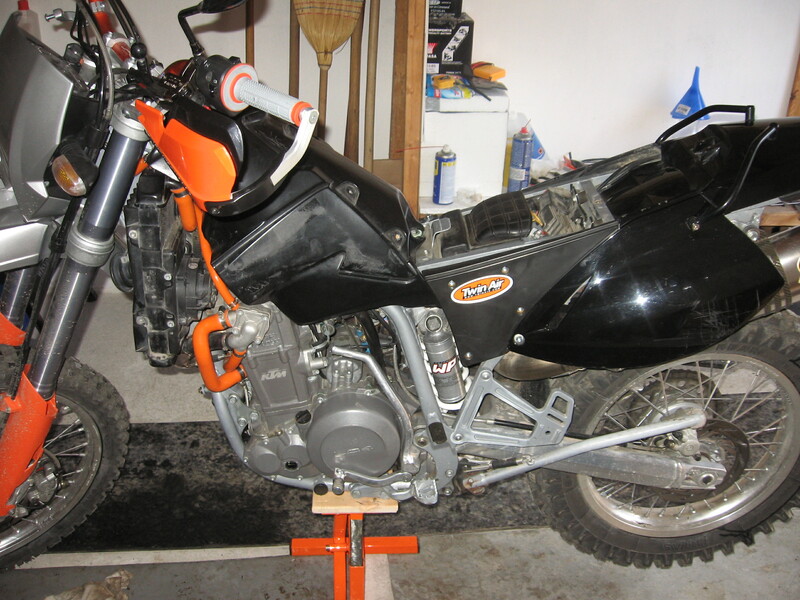 Last thing I have to do is change the chain and sprockets on the weekend if I will have any time.